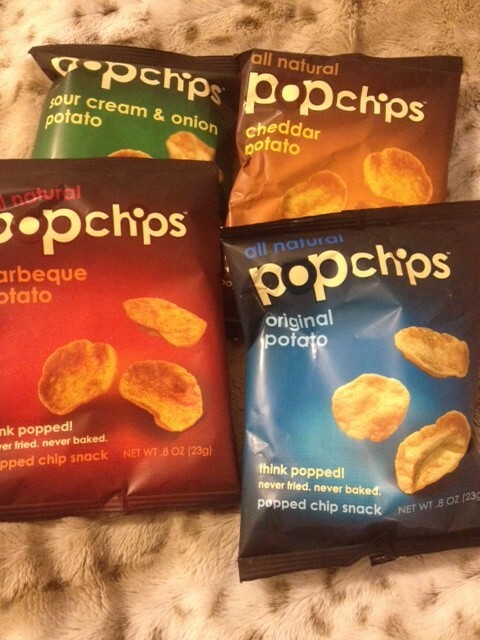 I recently got a shipment, or “chipment” as Popchips peeps call it (heehee), of 4 of the flavors of Popchips to try for free for a review. The 4 flavors I got in the mail were Barbeque, Sour Cream and Onion, Original, and Cheddar. These chips are NOT baked and NOT fried…they are popped! This allows them to still have a good amount of flavor, without being greasy and high in fat. Here is what they look like fresh out of the bag(s). 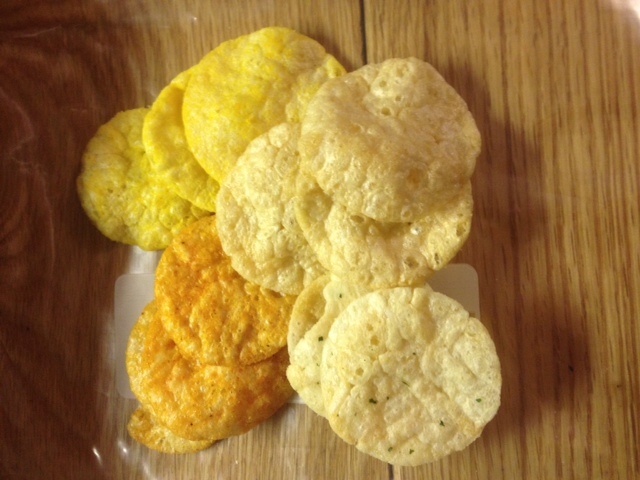 From top left to right to bottom left to right is Barbeque, Cheddar, Sour Cream & Onion, and Original. Which to try first… I’m not a chip girl, I would choose popcorn over chips (usually bc of the fat content), but I DO like BBQ and Sour Cream & Onion chips the best. So it was a toss up…which to try first!? I ended up trying the Barbecue first, seeing as the bag was super vibrant in a red/pinkish color, and was my favorite. The chip was full of flavor, hickory, a little spicy, a little sweet. It had a great crunch to it, but wasn’t “airy”, and had some body to it (so not crunchy like a rice cake!). It had just the right amount of salt on it as well for optimal flavor. Next up, the Cheddar chips. These had a really yummy cheddar cheese flavor. A tad bit salty, but it went very well with the cheesy flavor. 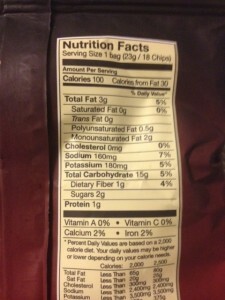 It reminded me almost of the crunchy Cheetos, a nice bold cheddar taste, little bit of salt, and an excellent crunch. Lastly, good ol’ Original. A nice crunch, mildly salty, and tastes basically like a standard potato chip would, minus the greasy fingers and mouth feel. Overall, I like these! 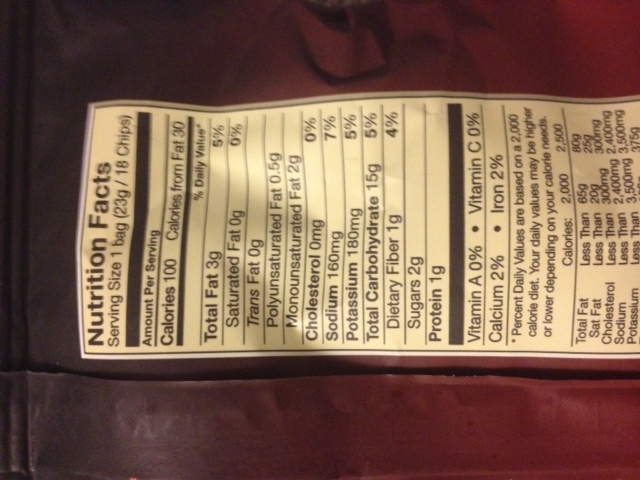 The nutritional facts are at the bottom for the Barbecue chips, but they are all roughly the same per serving. 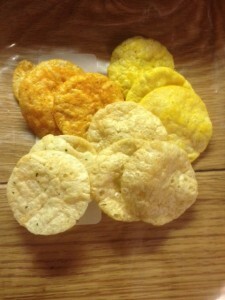 Cheddar and Barbeque were definitely my favorites from the bold flavors, that didn’t leave me “missing” traditional chips. I think the Original ones would be good paired with a sandwich, or ON a sandwich for some crunch! Popchips is offering ONE lucky winner a 3-month supply of Popchips!!! That includes 3, 24- count boxes of chips!! 1 winner, US only, NO PO Boxes. AND… PLEASE leave a comment telling me what is your favorite flavor of chips to enter. Giveaway will close February 18th, 12 pm.